Tabebuia avellanedae, also called Pau d'arco and taheebo, is a plant native to South America and used traditionally as an herbal remedy for a wide variety of health disorders. People take taheebo to treat arthritis, cancer, dysentery, influenza, parasitic diseases, prostate inflammation, skin disorders and yeast infections. The University of Maryland Medical Center explains that chemicals in taheebo have antibacterial, antifungal, antiparasitic, antiviral and anti-inflammatory properties, but research is lacking on taheebo's beneficial effects on humans. Taheebo tea, like other taheebo products, can cause several side effects. Additionally, because the beneficial chemicals of taheebo do not dissolve well in water, the UMMC does not recommend taheebo tea for medical purposes. The most common side effects associated with taheebo are gastrointestinal, as noted by the Physicians' Desktop Reference website, PDRhealth.com. 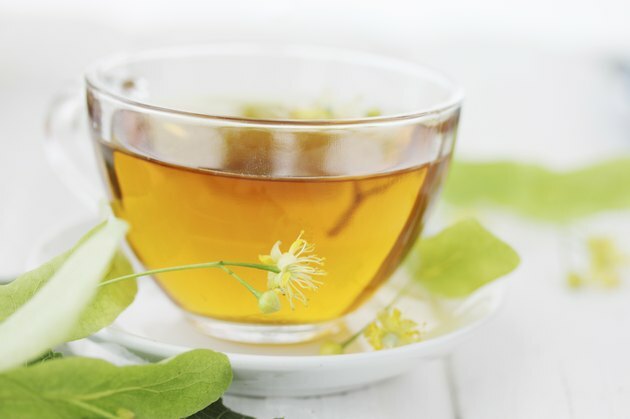 Taheebo tea drinkers may develop a stomachache, diarrhea and nausea, and may even vomit. Another possible side effect is mild dizziness, and taheebo can turn urine pink. Taheebo is associated with anemia, a condition in which the body does not have enough healthy red blood cells, according to the UMMC. Additionally, taheebo has blood-thinning effects. Drinking taheebo tea can increase the risk of abnormal bleeding and bruising, and anyone taking medication with anticoagulant effects should be cautious about drinking taheebo tea. These medications include warfarin, heparin, and nonsteroidal anti-inflammatory drugs such as aspirin and ibuprofen. The herb ginkgo biloba also has blood-thinning effects. As with any herbal remedy, some people may be allergic to taheebo tea. Signs as listed by the PDRhealth.com include difficulty breathing, tightness in the chest or throat, chest pain, itchy or swollen skin, and a rash or hives. An allergic reaction to taheebo tea should be considered a medical emergency.